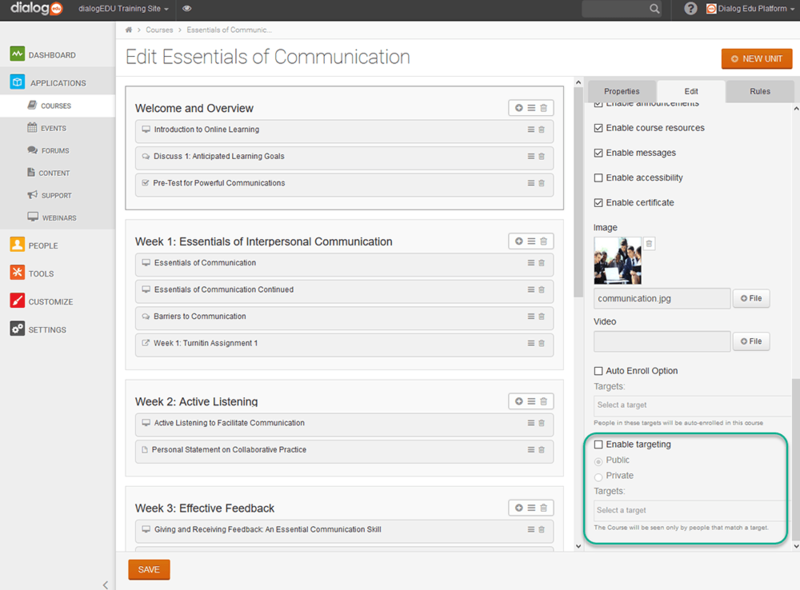 Note: The Enable targets option within the Course Edit tab, in previous versions, has now been renamed to Auto Enroll Option to avoid confusion. 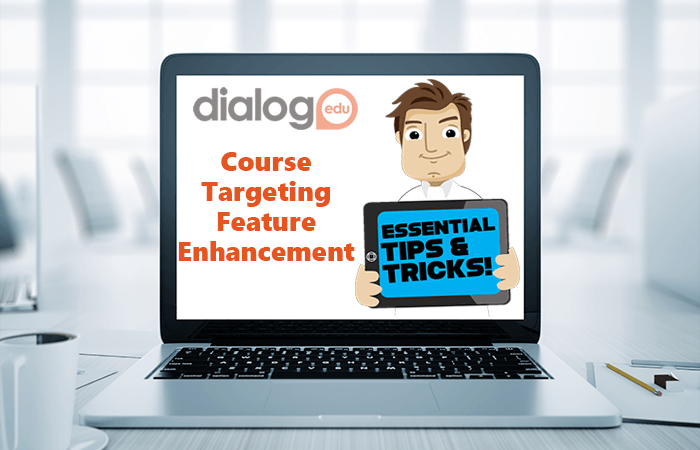 The Auto Enroll Option (previously the Enable targets), still uses targets for course enrollments and remains unaltered in its function. 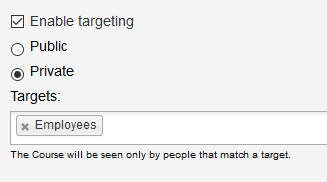 The new feature in this release is labeled Enable targeting. 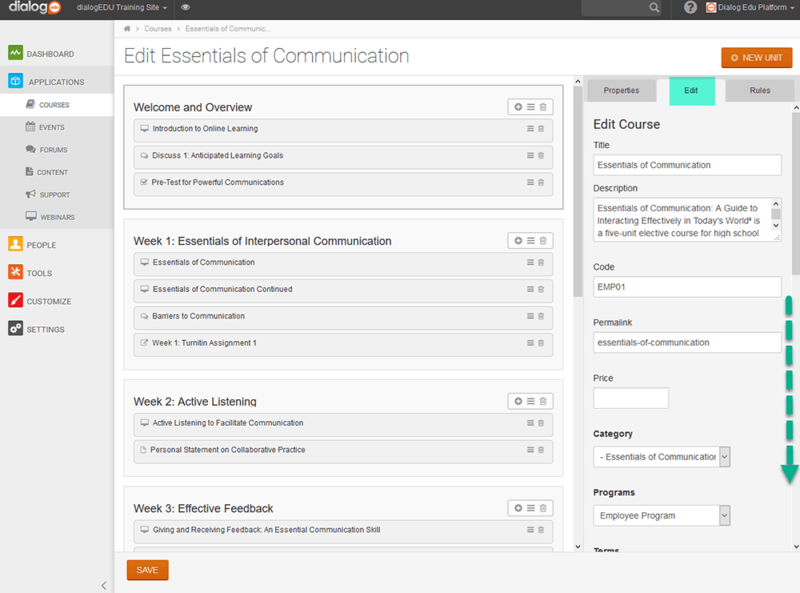 Personalized Course Catalog experience for user based on targeting. Suggesting Courses to learners after they have completed related courses. 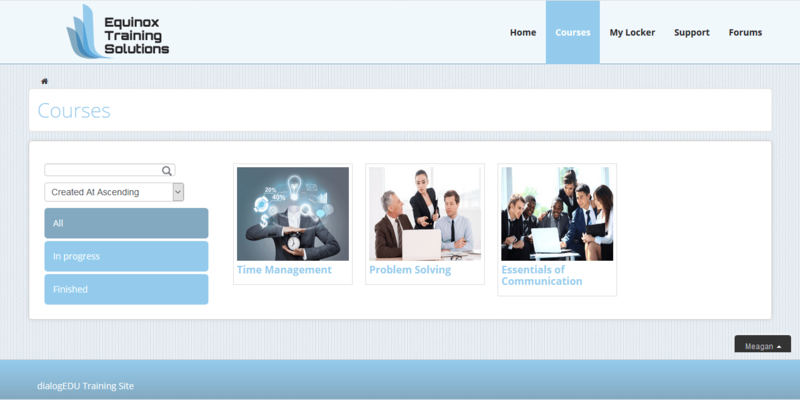 Clients with international audience now can offer courses that are country specific. 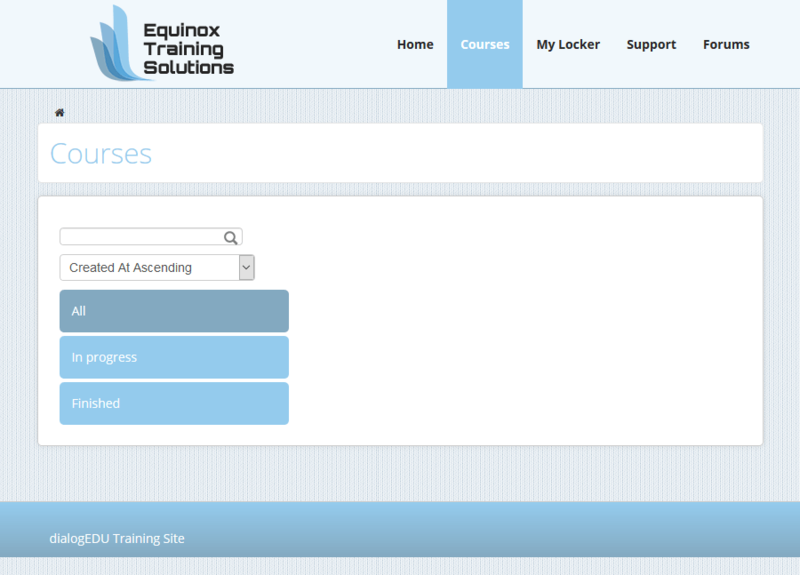 Display courses based upon results generated from an automatic Form asked to the audience. Our example will include a use case where an institution displays a personalized course catalog for learners based on a target for job title. The institution in our example, requires all employees and managers to complete three professional development courses from a catalog of courses. There are two separate catalogs, one is for Employees and the other for Managers. Step 1: Establish your target(s). 1. In this tutorial we will focus on learners within an institution that belong to the Employee role. 2. The Employee role contains one member, Meagan Smith. 3. Currently, when Meagan (the employee) logs in, she doesn’t see any courses. This is because the Enable targets feature has not been turned at the course level for any of the courses yet. 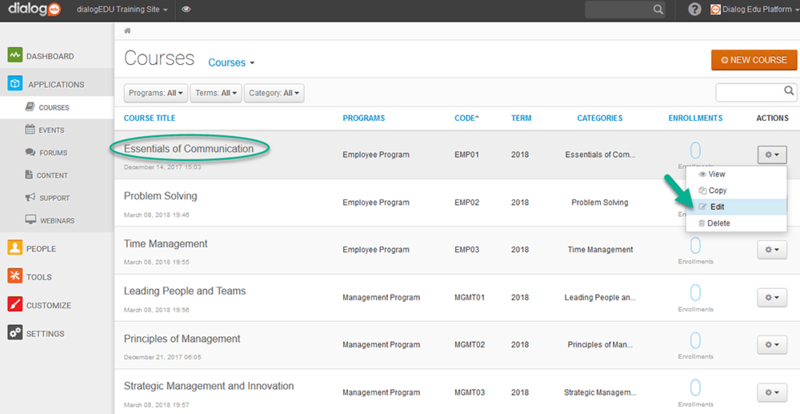 Once the Enable Targets feature has been turned on for the Employee courses, Meagan will see the course catalog available in the Courses tab that pertain to her and her Employee role. 7. Scroll all the way down to review the Target options, we are going to use the Enable targeting feature. Notice that you can define two target options. As previously mentioned, the Auto Enroll Option is designed to automatically enroll all members in the target into the course. Today, we will be using the Enable targeting feature will allow site administrators to make the course(s) viewable by a specific target. This means that only individuals (like Meagan) who are inside of the Employees target will have the ability to view this course and others that have been associated with the Employee target under Enable targeting. Now, when Meagan logs in and goes to the Courses tab, she will be view all Employee courses that pertain to the target that she is in based on her role.